Elizabethtown Kentucky’s Top Rated Onsite Computer Repair, Network, and Voice & Data Cabling Services. Computech Technology Services provides high quality professional onsite computer PC and printer repair, networking, and superior voice and data cabling services in Elizabethtown and throughout the entire Hardin County area, including the surrounding areas of Radcliff, Leitchfield, Hodgenville, Bardstown, and everywhere in between. Our experienced, industry certified onsite computer, printer, network, and voice and data cabling technicians are mobile throughout Kentucky, and available for same day onsite installation, configuration, troubleshooting and repair services on a wide variety of technologies and devices. Whether you need onsite PC and printer repair services, network installation services, or onsite voice and data low voltage cabling, we have you covered with fast, affordable onsite services. Providing professional onsite services for commercial office, retail point of sale, hospitality, and medical and industrial locations. We also offer excellent white label smart hands onsite computer and network services for MSP’s with clients in and around Elizabethtown. Give us a call today and find out why so many Elizabethtown and Hardin County businesses rely on our superior onsite technology services to keep all of their computers, printers, and networks up and running like brand new! (859) 780-3020. Elizabethtown KY’s Best Professional Local Onsite Computer and Printer Repair Services. Computech Technology Services provides high quality professional onsite computer and printer repair services in Elizabethtown and throughout the entire Hardin County area. Our experienced, industry certified computer PC repair technicians travel directly to your business to perform full scope PC repair services on a wide variety of business computers including workstation desktop, laptop, servers, and point of sale PC’s. Whether you are having hardware problems like failed hard drive, motherboard, RAM, CPU or software issues like Windows Operating System errors, system crashes, BSOD, or need virus removal, malware removal or PC tuneup and optimization, our pro onsite technicians have you covered, quickly and professionally. Our experienced, industry certified onsite printer repair field engineers are available to perform full installation, configuration, troubleshooting and repair services for a wide variety of business MFP, laserjet, and thermal bar code and label printers. Whether you need maintenance kit rollers and fuser installed, or need troubleshooting and repair for printing issues like no print, lines in print, and paper jamming, our pro field engineers have it covered with our fast and affordable onsite printer repair services. Providing pro onsite services to commercial office, retail point of sale, as well as hospitality, medical and industrial locations, we have the perfect solution for all of your onsite computer and printer maintenance needs. We also provide the regions best white label smart hands onsite services for MSP’s. Give us a call today and let us put our valuable computer PC and printer repair services to work for you! (859) 780-3020. 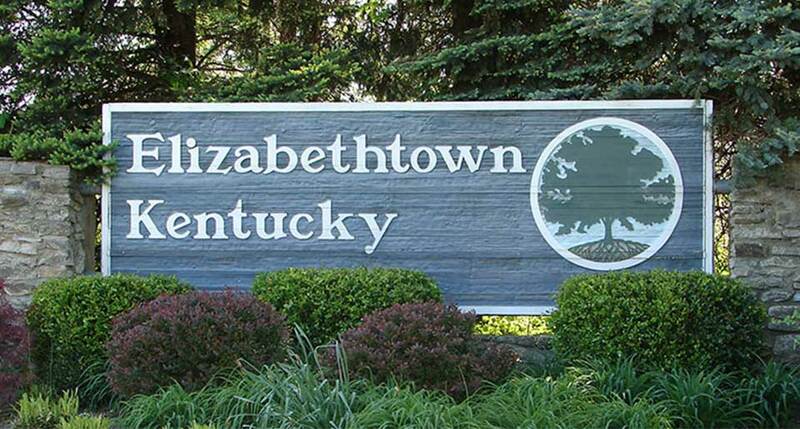 Elizabethtown KY Printer Installation, Configuration & Repair Services. Elizabethtown KY’s Top Rated Professional Network Installation, Configuration, Troubleshooting, Repair & Voice and Data Cabling Services Contractor. Computech Technology Services provides high quality full service onsite networking and voice and data cabling services in Elizabethtown and throughout Hardin County. Our highly experienced, industry certified onsite voice and data network technicians travel to your site to perform full service network installation, configuration, troubleshooting and repair services. From standard wired network router, switch and hardware firewall installation and configuration to wireless wifi and telecom PBX and VoIP services, our pro certified onsite network engineers have you covered, quickly and professionally. Our industry certified low voltage inside wiring techs perform a wide variety of installation and repair services for all voice and data networks, from troubleshooting and repair of your existing structured cabling to installation of all new high speed Cat5e and Cat6 cabling from one to one thousand drops, we have you covered, end to end. Need onsite network services? Look no further, we are the most trusted onsite network and voice and data cabling contractor in the Bluegrass State, and we are ready to take on your next network need or cabling project, quickly and professionally. Give us a call today and let us put our amazing onsite networking services to work for you and your business! (859) 780-3020. Since 2008, Computech Technology Services has provided top quality professional onsite technology field services in Elizabethtown, Hardin County, and all of the surrounding areas. Our professional onsite field services are easy to schedule, available for same day scheduling, and absolutely affordable. With our on demand onsite services model, you only pay for the time and materials used during your service call, with no hidden fees and no monthly maintenance charges. It simply couldn’t be easier or more affordable to get the onsite computer and printer repair, network and voice and data cabling services you need for your business, served up exactly when and where you need it the most. Give us a call today and let us show you why we are the go-to provider for on demand onsite information technology services throughout Elizabethtown, you’ll be glad you did (859) 780-3020.